LAKE BUENA VISTA, Fla, January 25, 1996 -- Rookie Richie Hearn toured the one-mile Walt Disney World Speedway oval at an average one-lap speed of 181.827 miles per hour today to be the fastest in Indy Racing League practice for the Indy 200 at Walt Disney World Presented by Aurora. 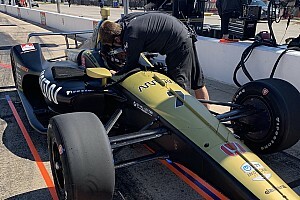 Hearn, 24, of Canyon Country, Calif., was one of two drivers who broke the 20-second barrier by turning his fastest lap at 19.799 seconds in a Della Penna Motorsports entry. The other was Buddy Lazier of Vail, Colo., who posted a lap at 19.823 seconds, 181.607 miles an hour. Rounding out the top five were Indianapolis 500 track record holder Roberto Guerrero of San Juan Capistrano, Calif., at 179.292 miles per hour, rookie Buzz Calkins of Denver, Colo., at 177.489 and veteran Scott Sharp of East Norwalk, Conn., at 176.246. Twenty-five drivers took the track today, running 1,764 laps. There were no incidents in the IRL ranks. There were a number of spins and accidents in the U.S. Formula Ford 2000 ranks but no drivers were injured. Bruno Bianchi of Lachenaie, Quebec, Canada, took the pole position for Friday's 40-lap U.S. Formula Ford 2000 season opener at an average speed of 125.004 miles per hour, followed by Joseph Scarallo of Hauppage, N.Y.
Hearn ran his fast lap in the morning session at 10:28 a.m.
"It's more than I expected," said Hearn. "I wanted to come here and run well. I didn't expect to run so quick off the block. When the car's comfortable, you can do just about anything you want. The biggest challenge today was the wind. 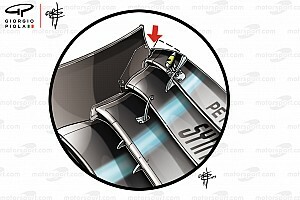 It's different today going into the corner because of the wind." Qualiofying for the inaugural 200-miler at Disney World is scheduled for Noon Friday. Drivers will qualify in a "best-of-two-laps" format. 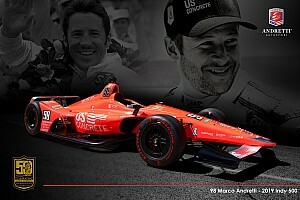 -- Indianapolis 500 veteran Mike Groff was named to a ride in a third A.J. Foyt Enterprises entry. -- Dave Kudrave of La Canada, Calif., who competed in seven Indianapolis-car races in 1993, was named to a ride in a Tempero/Giuffre Racing entry and was approved to drive. 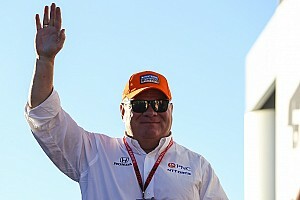 -- In all, the winners of 18 Indianapolis 500s were among the visitors on hand at the track for inaugural weekend, including Al Unser and A.J. Foyt (4 each), Johnny Rutherford and Bobby Unser (3 each), Gordon Johncock (2) and Danny Sullivan and Arie Luyendyk (1 each). -- All 50,742 seats -- including 50,122 grandstand seats and 620 for handicapped guests -- have been sold out for the inaugural race. 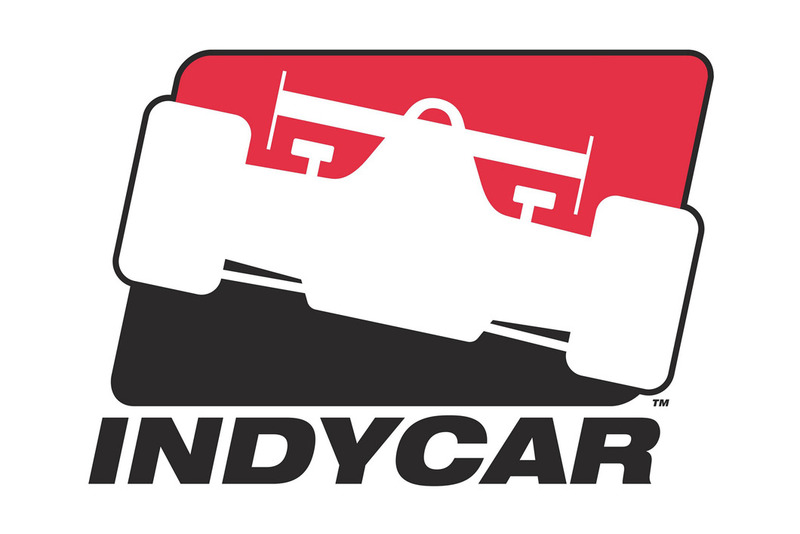 Race time is 12:30 p.m. Saturday, live on ABC Sports television and the Indianapolis Motor Speedway Radio Network. -- Lazier was the first driver on the track for official practice in a Hemelgarn Racing entry. -- Drivers Bill Tempero, Jim Buick and Rick Delorto failed to complete driver's tests and were not cleared to drive.